For decades, a set of major forces worked together, to change the way we think about “technology”. So far, these radical forces have brought about evolutionary changes in software programming, virtual communications, and user interactions. Today, software’s and cloud infrastructure are increasingly combined with data and machine learning/Artificial Intelligence to become a major platform for tomorrow’s intelligent apps. As Microsoft CEO Satya Nadella’s says, “This is a new platform, a third ‘run time’ – the next platform. One that not just manages information but also learns from information and interaction with the physical world”. Applications that precisely understand “Why” behind “What” are intelligent apps. Machine learning and data analytics are considered as the backbones of the intelligent app ecosystem. 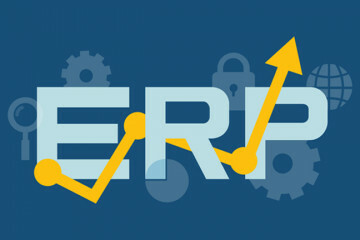 The conception of micro-services and the flexibility it offers to coherently interface with REST APIs increase chances of using and re-using learning services and ML algorithms. Furthermore, combine these algorithms with the particular data slice tom understand is micro-intelligence, which again can be seamless, incorporated in the apps. The brand new genre of intelligent apps is the first fundamental step towards human-machine-interaction. The ecosystem allows humans to interact with computers and increase their efficiency to know us. In the process of understanding us, computers or smart apps start suggesting things, provide solutions to everyday problems and accomplish the chorus on our behalf. 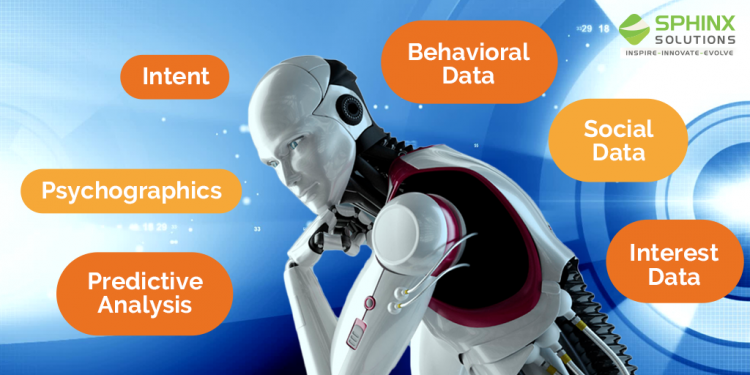 In short, intelligent apps have the ability to do one or more of the following things. Study user context and preferences: the apps pay attention to our choices and behaviors, thereby predicting what we need. Dependence on AI for making decisions: Algorithms used in building intelligent apps play an important role in empowering software to distinguish between relevant and irrelevant information. Provide users with contextually relevant information: Having determined our needs, intelligent apps will not wait for us to search for something; instead, they will buzz or notify us with solutions to our potential problems. Proactive response: Without waiting for us to act, these apps will act on our behalf. Task Automation: The software or algorithm of the app is flexible enough to allow either users or the app itself to setup if/then commands for different applications and services. Communicate on your behalf: The app predicts with whom you want to communicate and what you are going to say, they do the same saving your efforts. While doing so the recipient of the message thinks that they are communicating with you and not with the app. However, when both the parties are using software agents for communication, then it is simply a software-to-software communication in context. Bring ease to the users: Before you take any actions, app predicts what you need thereby keeping it ready. Thus, users have to press s single button to get the action done instead of following a multi-step process to execute the same task. Acts as your personal assistant: The app is capable of doing something necessary at the right time without bothering to notify you in advance. In the nineties, the emergence of internet applications was offering a multitude of services to consumers using internet-based applications like search, news, and e-commerce. Browsers were playing a major role in connecting users with internet applications and content. In 2006, software moved from client-server based to Software-as-a-Service (SaaS). Smart mobile devices engulfed the market and applications for these devices followed the trend. With the launch of Apple iPhone followed by App Store introduction and Google launching Android ecosystem, the market of mobile application development for smart devices gained momentum. The major paradigm shift in technology was a transition from typing and clicking to a touch dominant interface for humans as well as applications. In 2016, we are totally on the verge of a new era; an era redefining the way applications are built, managed and accessed by the users. Nonetheless, the major shift is redefining applications from ‘Software programs’ to ‘Data learners’. Today software is programmed and predictable because we want to induce Artificial Intelligence into the apps. This decade, we will be training computer systems with data, enabling the system for continued learning and making predictions running aground on new data or metadata, engineered features and data models empowered with structured algorithms. Undoubtedly, intelligent applications will pose as a product of the current technological evolution. These intelligent apps are supposed to leverage data or metadata, algorithms and continuous learning approach for anticipating and improving the interactions they would have with people and machines. Intelligent apps are composed of three major layers. The first layer will be innovative data and metadata stores, data intelligence systems that are enabled by the Machine Learning/AI and the third layer is of predictive intelligence often expressed as an ‘Application’ Layer. Moreover, all these three layers are connected by a continual feedback loop collecting data at the interaction points between humans and machines, which ultimately helps in continually improving the quality and outcome of the intelligent apps. 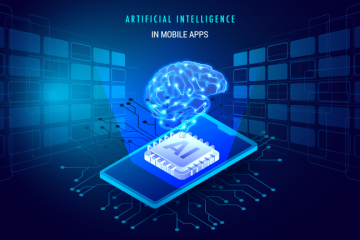 Intelligent Apps is a process that uses machine-learning technology for developing these apps using historical and real-time data for making predictions and decisions in order to offer a rich, interactive and personalized experience to the users. Search engines like Google and Bing, media service providers like Spotify and Netflix are some of the many intelligent apps users are interacting with. Machine learning technology empowering intelligent apps has become a mainstream stage for this ecosystem. Every application that is being developed today has to be an intelligent app; this is not a recommendation but a necessity. Already we are using a multitude of chatbots and virtual assistants. 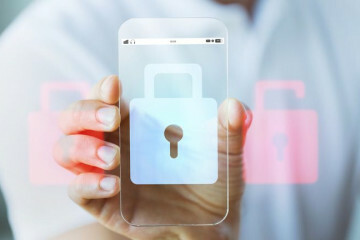 From e-commerce, sites displaying right recommendations at the right time, to software detecting anomalous cybersecurity threats, are being developed for continuously learning and improving the user experience. No wonder, legacy applications have become increasingly intelligent to compete and stay in tune with the evolving intelligent app ecosystem. The intelligent app ecosystem is still in the initial stage so it offers comparative ease to developers in speculating, delimitating and manipulating data source and machine learning techniques. The maturing operating systems on which intelligent apps have to be developed, especially the platforms offering ‘natural user interface’ as if messaging and voice. Before building an intelligent app, ensure you have a larger data set that will accelerate the chances of effectively using Machine Learning and AI. The best way to start building intelligent apps is to focus on the experience that you want to deliver. Consequently, concentrate on how using ML and what kind of dataset can be utilized in an appropriate way to enhance the application eventually providing an awesome user experience. A decade later, all the applications will be intelligent. Furthermore, Machine learning will continue to play a major role equivalent to the role played by cloud technology today. Startups and enterprises, investing and adopting an intelligent app ecosystem are supposed to avail competitive edge in building the highly comprehensive intelligent apps, offering the most compelling user experience. However, for any technology investor, it is important to think about the market dynamics in lieu of major industry upgrades. For sure, the intelligent app ecosystem is knocking our door with immense opportunities for startups, small and large technology companies alike.